The slender design and brass accents give this traditional design a fresh, new, contemporary look. With a subtle pop of colour from the red or blue chord, Irvin make any corner a looker. 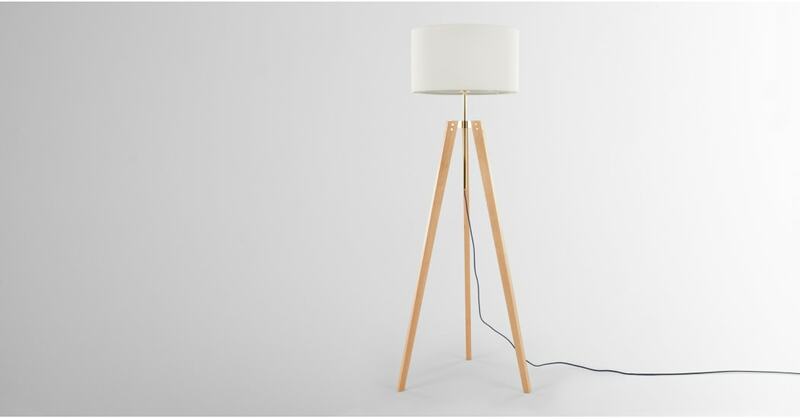 The first thing you’ll notice on this elegant floor lamp is its long, tapered legs. Irvin’s tripod design makes it sleek, stable and a real statement. Don’t you love it when statement pieces are great value too? That’s what we’ve got here… a large statement floor lamp with a great price tag. Stunning in any corner of the room or beside a reading chair.